Mincha and Ma’ariv: 7:00 p.m. The practice of pointing a finger at the Torah when it is displayed to the congregation at the ending of the reading of the Torah is accompanied by the recitation of the words of Vezot Ha-Torah which are found in this weekâ€™s parsha. Congregants indicate their recognition and assent that indeed the holy words of the scroll raised before them are the exact words Moshe has placed before the people of Israel, as commanded by G-d. However, the last part of this recitation is not found in this parsha. What does appear is a direct reference to the review of Torah law and philosophy that Moshe shares with the people of Israel prior to his death. More specifically, Moshe, by enabling the establishment of three cities of refuge on the eastern side of the Jordan River for those who commit inadvertent murder, demonstrates to the people of Israel that the study of Torah is not an academic exercise but one coupled with the practical application of its laws. The Kli Yekar poignantly indicates that the coupling of the dedication of these sanctuary cities with the study of Torah is a symbol of the perpetuity of our tradition from generation to generation. Moshe knows full well that these cities he establishes as places of refuge have no legal standing until the western side of the Jordan is conquered and settled by the Israelites. 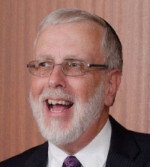 He knows he will not enter into the land of Canaan, but feels that he still has the ability to at least partially fulfill Halachic requirements in regard to dedicating these cities. It remains for Joshua to complete this task when he brings the Hebrews into Canaan. In a similar vein, the Kli Yekar compares Moshe’s actions to an elderly individual who plants an etrog tree aware he may not live long enough to benefit from its growth to use the fruit for Succot. However, he is aware that his children will. This interpretation of the Kli Yekar is reminiscent of the famous expression found in Pirkei Avot, that it is not for us to complete the task (of the study and fulfillment of Torah). However, we are not exempted from engaging in it. Symbolically, we point to the Torah declaring our commitment to it and our promise to transmit its message to our children and future generations. Shabbat in the Park: Shabbat, July 28th at Charing Park from 3:00 pm – 5:00 pm, walking club will meet at 4:00 pm (weather permitting). Add your milestone (Birthday /Anniversary) or Yahrzeit to CBTO’s community calendar. $18 per date. JEWISH FAMILY SERVICES: Client with some mobility issues is looking for a friendly visitor to spend time together working in her garden every week or two. JFS neighbourhood. Female preferred. Newcomer to Ottawa (Alta Vista area) is looking for a female companion to join her at AJA 50+ events and other events/outings. Companion to provide transportation. Client uses a walker. Elderly client who is visually and hearing impaired needs a visitor for about 45 min-1 hr every 2-3 weeks, at his home on Merivale Rd. Communication will need to be in writing, or by typing on your laptop in large print. To take on any of these mitzvot, please contact the JFS Volunteer Desk at 613.722.2225, x315. JEWISH MEMORIAL GARDENS: Grave Visitation Assistance (Bank Street Cemetery) For the many people who may be visiting their beloved ones and find the walk challenging, JMG will have a golf cart to take those who need assistance to the path closest to the grave they wish to visit. The service will be available on every SECOND Tuesday, July 17th, July 31st etc. Please contact Tammy Torontow at 613-688-3530, Extension #1 to book a spot. Copyright © 2019 Congregation Beit Tikvah of Ottawa | All rights reserved.